Laurel Thatcher Ulrich, who retired last summer as 300th Anniversary University Professor, won the Pulitzer Prize and the Bancroft Prize (historians’ highest honor) for A Midwife’s Tale. She also pioneered histories of material culture, some featured by this magazine (see “An Orphaned Sewing Machine ” and “A Woodsplint Basket ”). 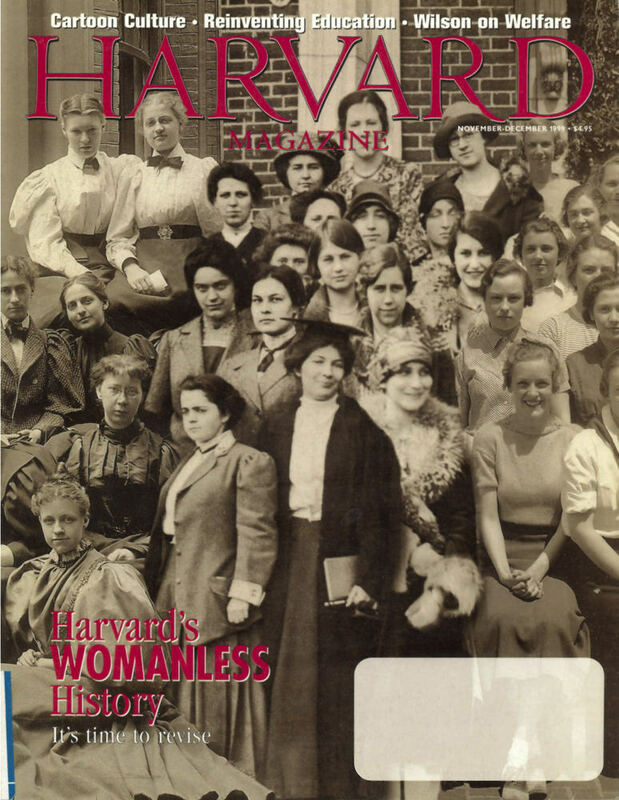 During her years of Harvard service, she became interested in this institution’s incomplete history, particularly of women, resulting in the edited book, Yards and Gates: Gender in Harvard and Radcliffe History. A sort of first draft for that project appeared in these pages in 1999, and is republished here.